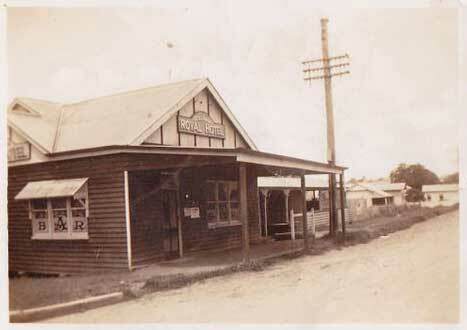 “I was in Kalbar yesterday and called into the pub for a nostalgia trip. As a child and young teenager I spent many a happy visit at the hotel and have very fond memories of the same. My Dad was an army buddy of Jim O’Callaghan (the publican from around 1946 to 1962/3 approximately) from World War 2 and as far as I can work out this photo would have been taken just after the war, possibly 1946. 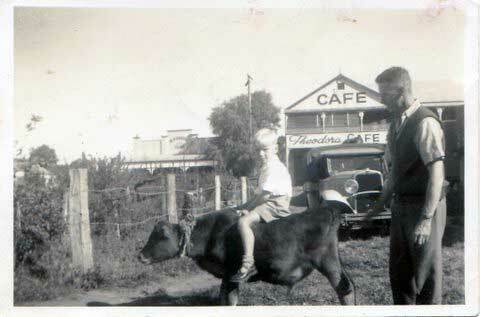 Taken by Pam Ogg's parents with a Brownie Box circa 1948. Depicts the publican Jim O'Callaghan with his eldest son Michael at the side of the hotel.